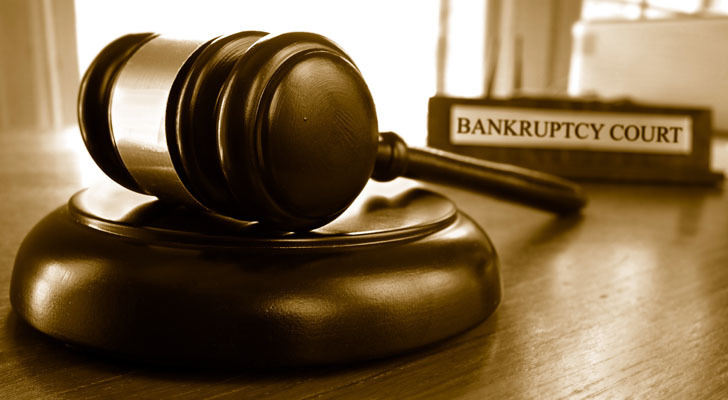 As some have already declared bankruptcy, will these names go belly-up in 2019? Editor’s Note: The original version of this article misstated the debt of Blue Apron (NYSE:APRN) and was corrected on Jan. 18, 2019. It doesn’t matter if times are tough or if they’re great, there are still going to be companies that go belly up. A perfect example? Look at 2008 vs. 2018. Just 10 years apart and look at how much has changed. Yet bankruptcy stocks are still popping up all over the map, and there’s not much investors can do about it: bankruptcy happens. But that doesn’t mean those investors have to get caught up in the beatings. Conversely, it also doesn’t mean they need to short these stocks. In fact, when it comes to bankruptcy stocks, my main instinct is to avoid them at all costs. That’s because even though the long-term story is eroding and the vultures are circling, we routinely see these names pop 20%, 30%, 40% and sometimes even more over a few-day stretch. While not shorting companies that are circling the drain goes against common sense to some extent, I just don’t care for the added volatility and elevated risk profiles that these names come with. That said, here are some bankruptcy stocks to keep an eye on. 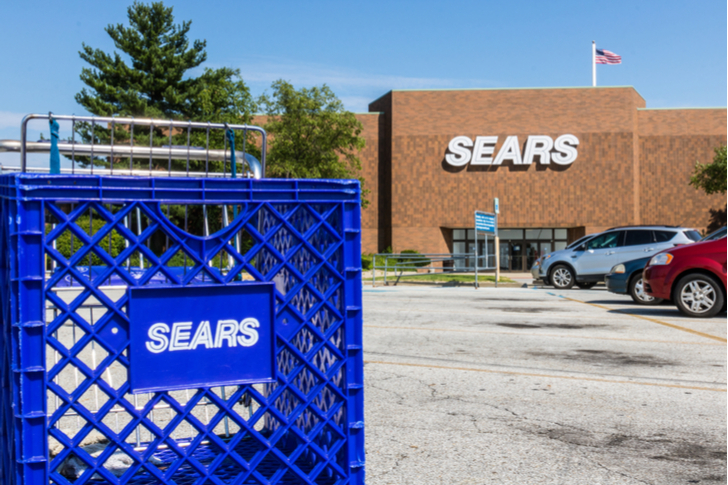 Sears Holdings (OTCMKTS:SHLDQ) is the obvious bankruptcy stock for 2019, and it’s fitting that this retailer is starting off the list. After years of profit declines, cash flow bleeding and declining sales, Sears is finally going through the bankruptcy process. CEO Eddie Lampert’s hedge fund is working toward a deal with Sears to buy up the company in bankruptcy court. The pending deal, which was recently bumped up from $4.4 billion to $5 billion, would be ironic, given that Lampert was the one at the helm when Sears went under in the first place. Perhaps if Lampert hadn’t pared off the company’s best brands and sold off its best real estate, the retailer would have been on better footing. The errors were obvious when they were occurring, not just in hindsight, but it’s unclear whether that would have saved the company or not. So which retailers benefit from a Sears bankruptcy? While in the short-term the retailer’s bankruptcy may hurt these companies due to liquidation sales, companies like Home Depot (NYSE:HD), Lowe’s (NYSE:LOW), Best Buy (NYSE:BBY) and Monro (NASDAQ:MNRO) should all benefit, among others. 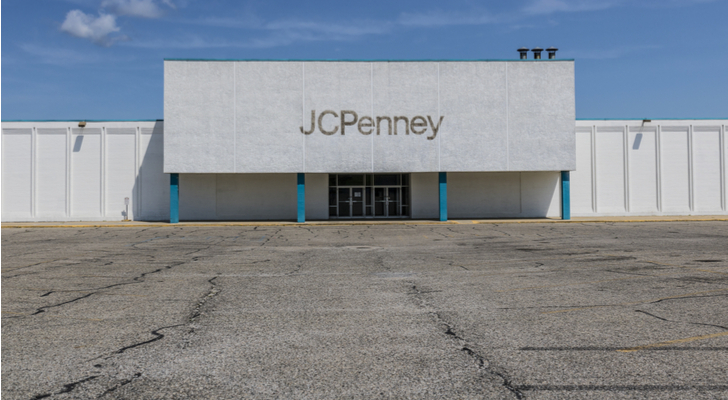 J.C. Penney (NYSE:JCP) reminds me a lot of Sears, with just a little bit more runway left. Its precarious situation looks more like a “when” not “if” scenario when it comes to the dreaded B-word. Shares are up big over the last week, climbing almost 30% since last Thursday. But don’t get too excited. This name has gone from $1.13 per share to just over $1.30. That’s not doing much to inspire confidence. With a 52-week low of 92 cents to and a high of $4.75, JCP stock is closer to the wrong side of that one-year range. The company’s recent update on its holiday sales and reaffirmation of some of its guidance is uplifting news. But let’s be real. Sales have been in decline for three straight years as its footprint is shrinking and over the past five years, JCP has had one year with positive net income. That came in 2017 and JCP turned in just $1 million in profit. JCP isn’t completely circling the drain, but with over $4 billion in long-term debt and less than $200 million in the bank, I’m not super optimistic on its future. A lot of people want to see PG&E (NYSE:PCG) go under. Multiple wildfires in Northern California has not only created plenty of negative press for PG&E, but also a lot of liabilities. The share price had gone from $70 in November 2017 to about $17.50 fecently, a 75% haircut — and that’s before news of its pending bankruptcy filing dropped shares further, to around $7. But more alarming has been the performance of its bonds. S&P cut the company’s bonds to BBB-, the lowest investment grade rating available. Moody’s went a step further, slashing the company’s bonds down junk status. The move will force PG&E to post cash collateral and will make borrowing more expensive. While PG&E does have cash coming in, it’s got just $430 million in the bank. It’s got over $18 billion in long-term debt — and even worse for investors, this utility doesn’t even have a dividend. There are much better choices on the table for investors. Blue Apron (NYSE:APRN) isn’t a name that comes up much when it comes to bankruptcy situations. That’s likely because it’s a relatively new player in the stock market and its debt situation isn’t that bad. But when a stock goes public at $10 and it’s under $1 less than 18 months later, there’s clearly an issue. 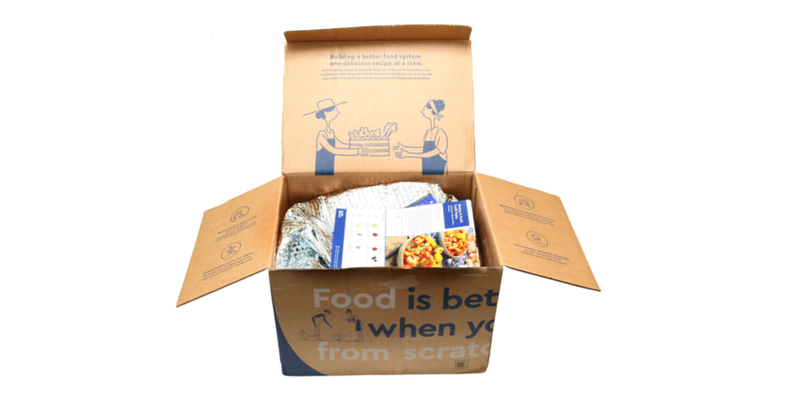 While WeightWatchers (NYSE:WTW) threw the company a bone, it’s clear that Blue Apron’s business model was not a good one. It cost too much to attract new customers and the cash flow bleed was lethal. Lately though, cash flows are trending higher and APRN might be able to avoid a stock-exchange delisting. But a pennies-on-the-dollar acquisition seems more likely to be on the horizon. There’s too much competition and too low of margins to imagine APRN surviving on its own over the long term. Without some change to Apron’s business and/or stock price, some type of action seems imminent in 2019. 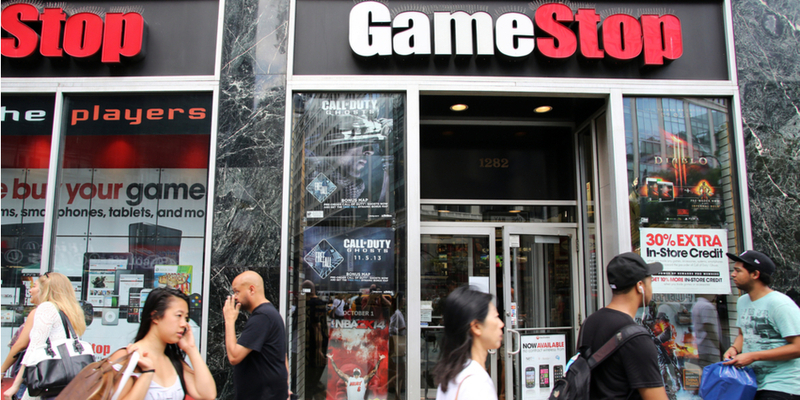 For GameStop (NYSE:GME), that may not be the same case — at least this year. At the very least though, its dividend could be on the block. The stock currently yields over 9.7%, while free cash flow and operating cash flow continue to dwindle. However, GME’s cash flow is not negative, like its net income is. Over the last three years, GME’s best year came in fiscal 2016 when it earned $28 million. This year? It lost almost half a billion dollars. To say the situation is worsening is an understatement, as gamers continue to turn to digital downloads and online sales. 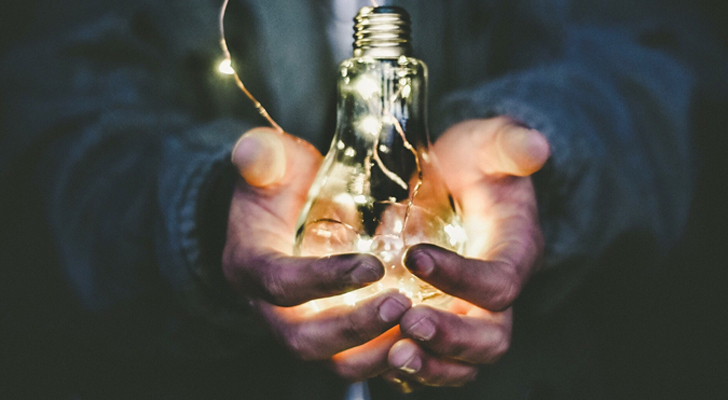 GME needs to make a move — reducing its footprint, bringing an entertainment component to its business and only maintaining its profitable locations. Or consider a buyout. Without one, its business is in trouble. It’s too bad to see Barnes & Noble (NYSE:BKS) on the decline, because I loved these stores when I was younger. While bookstores could somehow stay around, the e-book/Kindle revolution really ruined business for these guys. And let’s be honest, Amazon (NASDAQ:AMZN) also didn’t do any favors for retail, in particular BKS. As of the most recent quarter, the company has $11.2 million in cash and $63.7 million in accounts receivable. While it doesn’t have any short-term debt, it does have over $621 million in accounts payable. Further, long-term debt sits at $278 million. Despite this seemingly lopsided situation, the company still pays out a dividend. Its yield is near 9.9%, a red flag to be sure. And even though the company turned in one of its best holiday comps in recent memory, management warned on profit, saying it may fall up to 10% year-over-year. It’s been years since since BKS turned in an annual income statement without red ink on its net income line. This one’s bankruptcy seems inevitable at some point down the road. I’m not trying to pick on retail intentionally, but just too many of these companies are hanging by a thread and need too many things to work out perfectly for them to stick around. 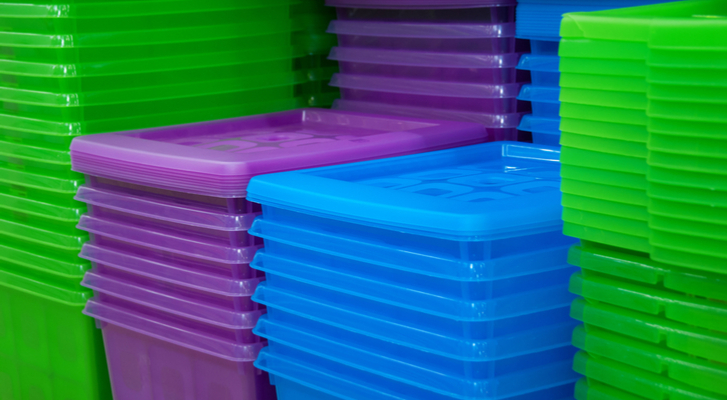 The Container Store (NYSE:TCS) is one of them. Obviously after the holiday quarter, TCS will come into some cash as it geared up for the holidays like everyone else. But as of the last quarter, TCS had just $7.2 million in cash with more than $7 million in short-term debt. Worse, it has more than $282 million in long-term debt. That said, the company is on the right side of profitability and actually has positive free cash flow. I just do not like its levered balance sheet, something management needs to correct in 2019. Otherwise, it will need to make some less-than-appealing moves and that may weigh on its stock price even more. The stock is down more than 40% in the last three months to less than than $6 a share. Article printed from InvestorPlace Media, https://investorplace.com/2019/01/7-bankruptcy-stocks-to-watch-in-2019-tcs-pcg-shld-gme-jcp-aprn-bks/.